Flexible ticket - visit at a time and date that suits you. 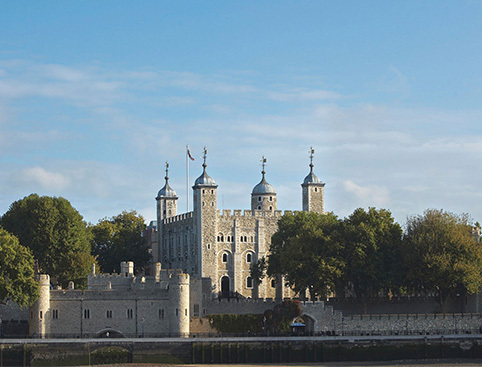 See the Tower’s most famous sights, including the Crown Jewels, the Tower Ravens and much more! Simply print off the e-ticket and hand it over at the Group Sales Office at the HM Tower of London (located in the building next to the general public ticket office). Don’t Miss: The dazzling Crown Jewels! 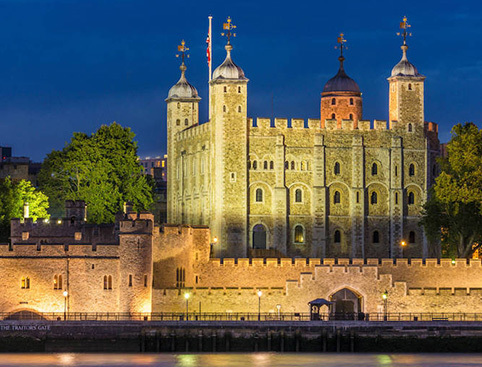 Book our cheap Tower of London tickets for entry to one of Britain’s best-known historical attractions! Discover over 1000 years of murder, mystery, deadly plots and intrigue that have played out inside the ancient stone walls of this world-famous landmark. 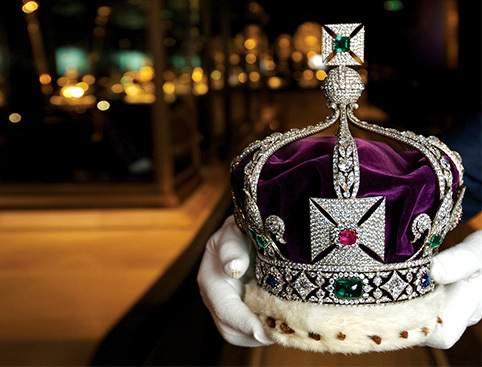 The dazzling Crown Jewels are comprised of a staggering 23,578 gems. The Tower of London is also home to the Cullinan and 105.6 Carat Koh-i-Noor diamonds. This breathtaking collection can be found in the Jewel House. Officially known as "Yeoman Warders", the entertaining Beefeaters have long been symbols of London and Britain. 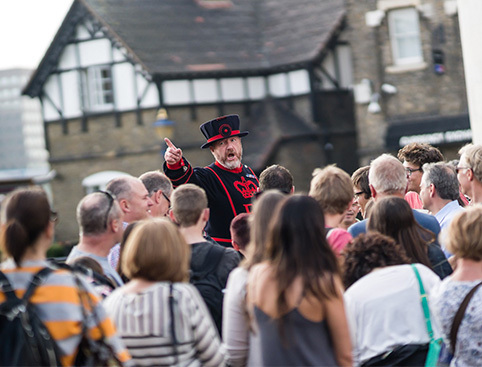 Join one of the free Beefeater Tours and discover tales of pain and passion, treachery and torture, all delivered with their inimitable style! The jet-black ravens are amongst the Tower of London’s most celebrated and famous sights. Legend dictates that “If the six ravens are lost or fly away, the Crown will fall and Britain with it.” That’s why the specially-appointed Raven Master ensures that at least seven ravens (the necessary six and one spare) are well-fed, happy and in no hurry to leave! The world’s longest running visitor attraction! Located on the entrance floor of the White Tower, see magnificent displays featuring arms and royal armour, life-sized wooden horses and figures of kings. For more than 600 years, exotic animals were held captive here as part of the “Royal Menagerie”. Discover their story in an extraordinary interactive exhibit. The iconic White Tower is one of the most important castle keeps in the world, designed and built to deter, awe and terrify foreign invaders and Londoners alike! This exciting new interactive display reveals the sorry tales of the many prisoners held captive at the Tower over the centuries. Step in to a Medieval world and join in the festivities as the new Queen Maragaret of Anjou arrives. Feel the weight of a real knight's sword, have a go at firing a crossbow and much more. The Tower of London, London, EC3N 4AB. Please note that on Wednesday 23 May 2018, the Tower will close early. Last admission will be at 4pm, with the buildings and exhibitions closing at 4.30pm. This is an ancient building with difficult stairways and passageways in which wheelchair access is limited. Steps and cobbled roadways throughout the Tower of London and its grounds may prove problematic to those with mobility difficulties. The Jewel House and the Crown Jewels are fully accessible to all visitors. Carers of disabled visitors are admitted free of charge, and do not need to book a ticket. General admission to the Tower. Transport to and from the Tower. 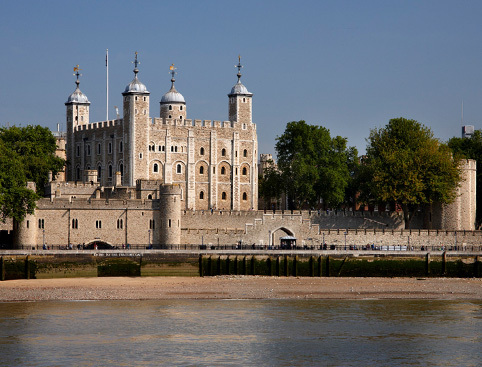 The Tower is located in the heart of London and is accessible by train, underground, car, bus, bicycle or riverboat. Tower of London Tickets is rated 4.7 out of 5 by 276. Rated 5 out of 5 by John26 from Great tour, Great Day. Took our Daughter for the first time, she loved it, what made it special was Steve the Yeoman who took us on the tour of the tower, very knowledgeable and very funny, really made a great day better. A must for any visitor. Rated 5 out of 5 by Pattie BJ from Great day out. Great day out but my teenage son said 'it's just like a school history trip' so don't take moody teenagers if you want to have a proper look around. This was a great way to book though and so easy - no queues!! Rated 5 out of 5 by Na1 from Fantastic day out The tour was a joy from start to finish. Highly recommend it to anyone. Rated 5 out of 5 by Knapton from Something for all ages Family of four-with two teenagers of 15 and 17. Lots to see and very well planned and not too much information . You really do need at least 3 hours here. Rated 1 out of 5 by Jonesylil from Tower of london Brought the tickets for a treat for my husband and myself. Was very disappointed that we could not get into see the crown jewels as the waiting time was so long , that was the whole point of going as he had never seen the crown jewels total waste of money.